Treat yourself to a traditional seaweed spa when visiting Ireland. I never knew that bathing in seaweed was a thing until I travelled to Ireland. Who ever thought it would be a good idea to climb into a tub filled with slimy seaweed? 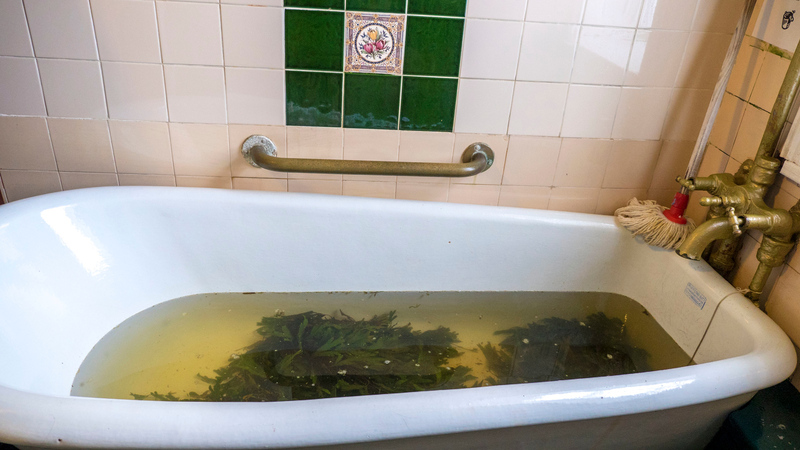 Well, seaweed baths are actually a centuries-old practice in Ireland. Dating back to the 12th century, monks harvested the seaweed from the coastlines and gave it to the poor as a nourishing food. 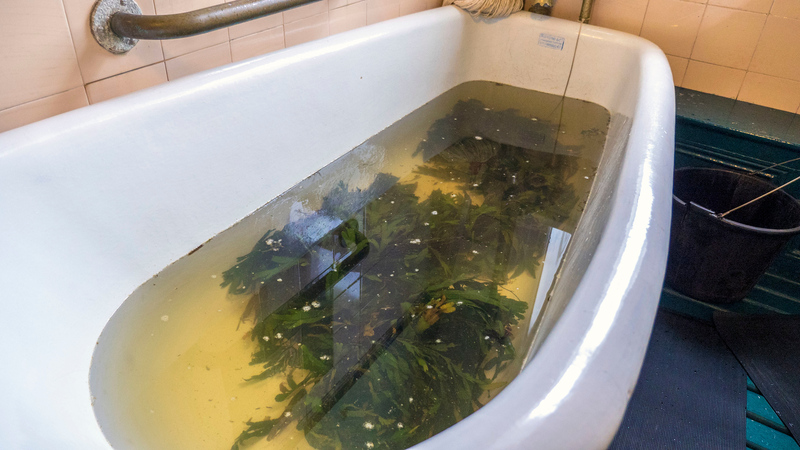 As seaweed came to have a multitude of uses over the years, seaweed bathhouses started springing up around the country in the early 20th century. At one point in time, there were over 300 seaweed spas in Ireland. 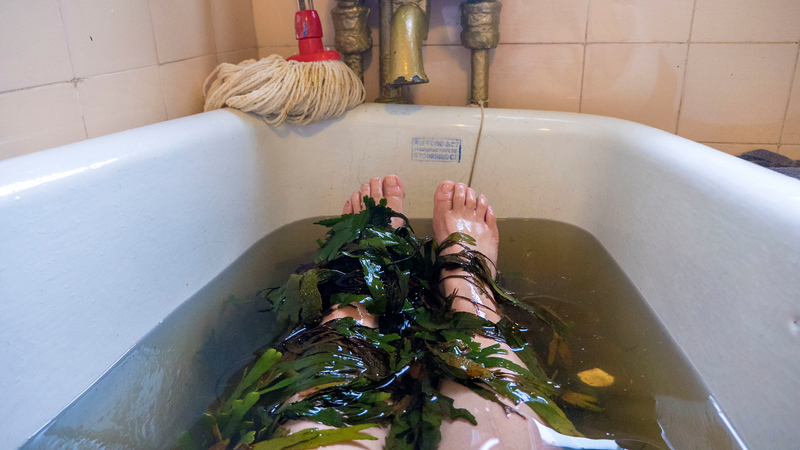 Today, only a handful of seaweed baths remain. I knew that I had to give it a try. After all, when in Ireland…right? Have you ever tried a unique spa experience? I’m sure you’re aware, but it rains a lot in Ireland. You won’t have to worry about a rainy day hampering your plans at the seaweed spa. It’s all indoors, so it doesn’t matter what Mother Nature throws your way. The town of Enniscrone is a sleepy seaside village in County Sligo. 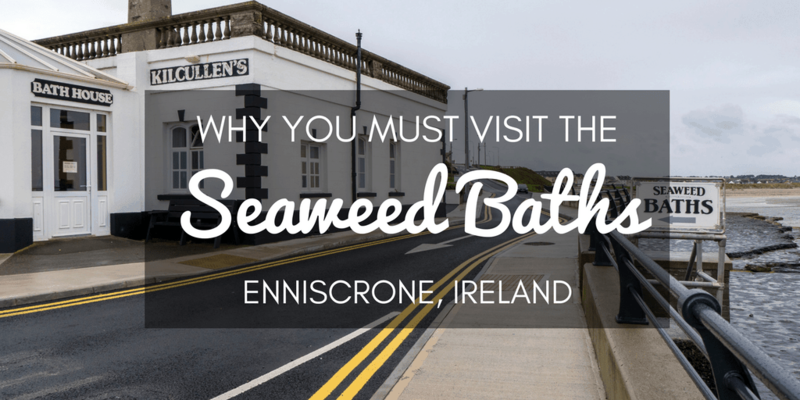 I ventured here specifically to try the seaweed baths in Enniscrone after spending a few hours in the nearby town of Sligo. 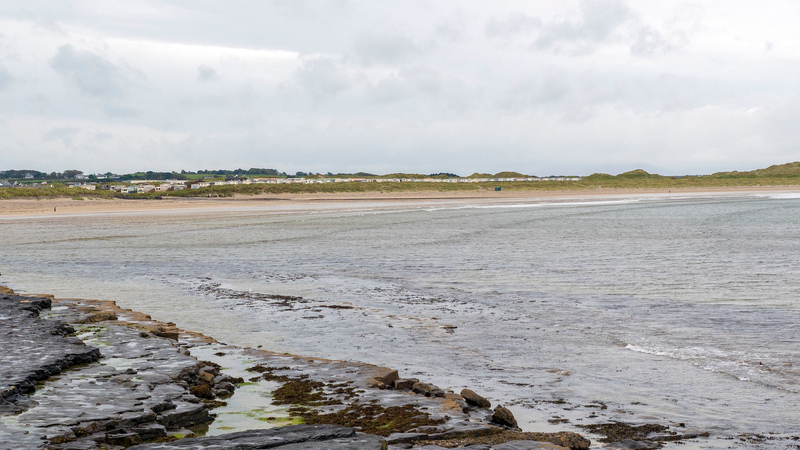 For the perfect day, travel between Donegal and Galway: check out Sligo Town, enjoy a relaxing seaweed bath, and explore the prehistoric landscape of Ceide Fields. Kilcullen’s Seaweed Baths remain in the same family for generations. Nearly 100 years ago, Kilcullen’s opened for business, although the bathhouse was built back in 1898 for this purpose. 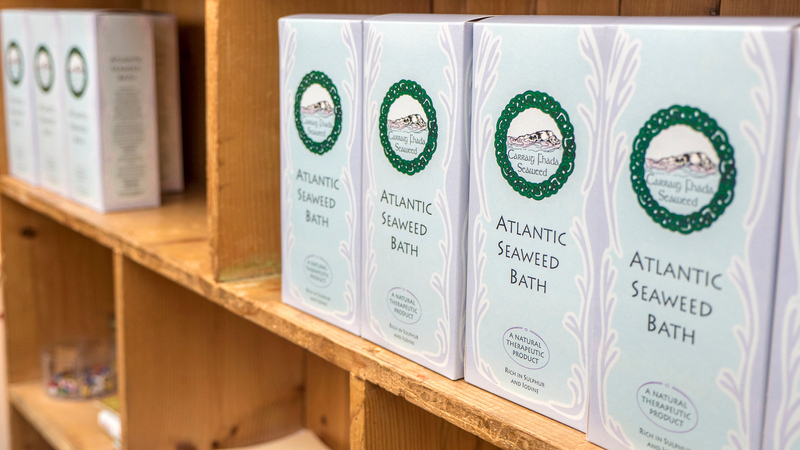 In its fifth generation of ownership in the same family, Kilcullen’s Seaweed Baths doesn’t look too differently from when it first opened its doors. This charming Edwardian era building still uses large porcelain bathtubs, solid brass taps, and old fashioned wooden sauna boxes. It’s like transporting yourself back in time. Because when something simply doesn’t need perfecting, why change it? While seaweed is highly nutritious to consume, there are many benefits of treating yourself to a seaweed spa day. It’s nourishing for the skin, too. High in vitamins and minerals, seaweed can soften the skin, improve circulation, aid liver problems, drain the lymphatic system, and help with cellulite. Bathing in hot water with seaweed is also thought to provide relief from arthritis, and assist those with eczema and dermatitis. It’s even toted as a hangover cure. 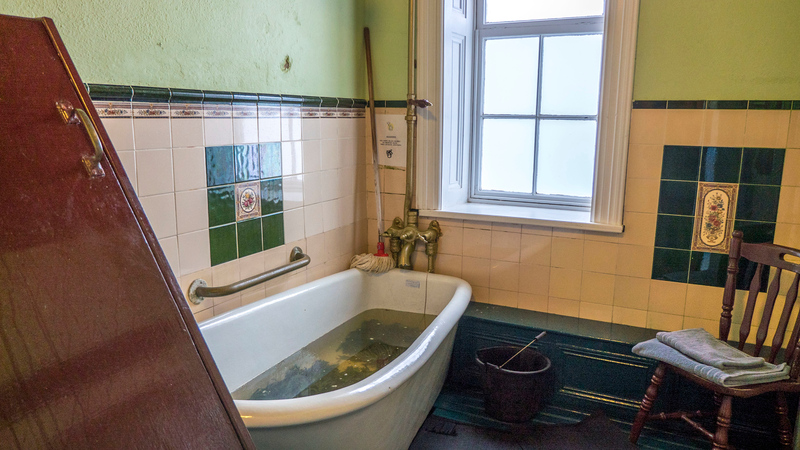 It might not be a bad idea to head to the seaweed bath after a raucous evening at the pub the night before. While I wasn’t looking to improve any specific health issues, I was looking forward to a relaxing soak after driving around Ireland for days. 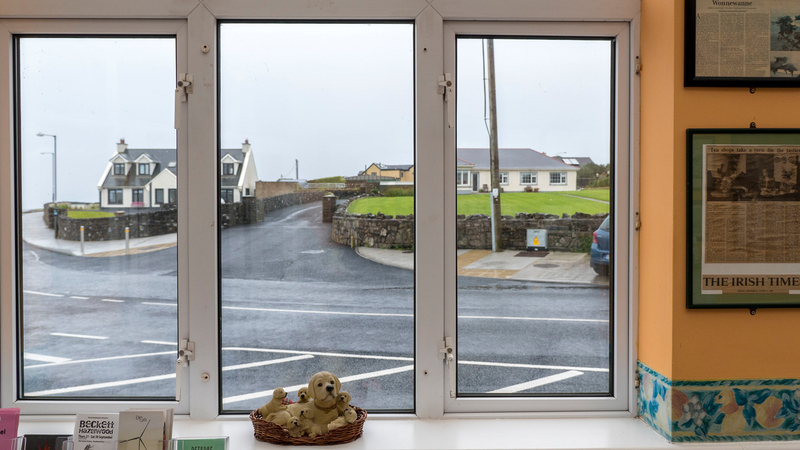 After spending hours and hours in a car driving all over Ireland and Northern Ireland, I was hoping that the seaweed baths in Enniscrone would soothe my aching muscles and back. 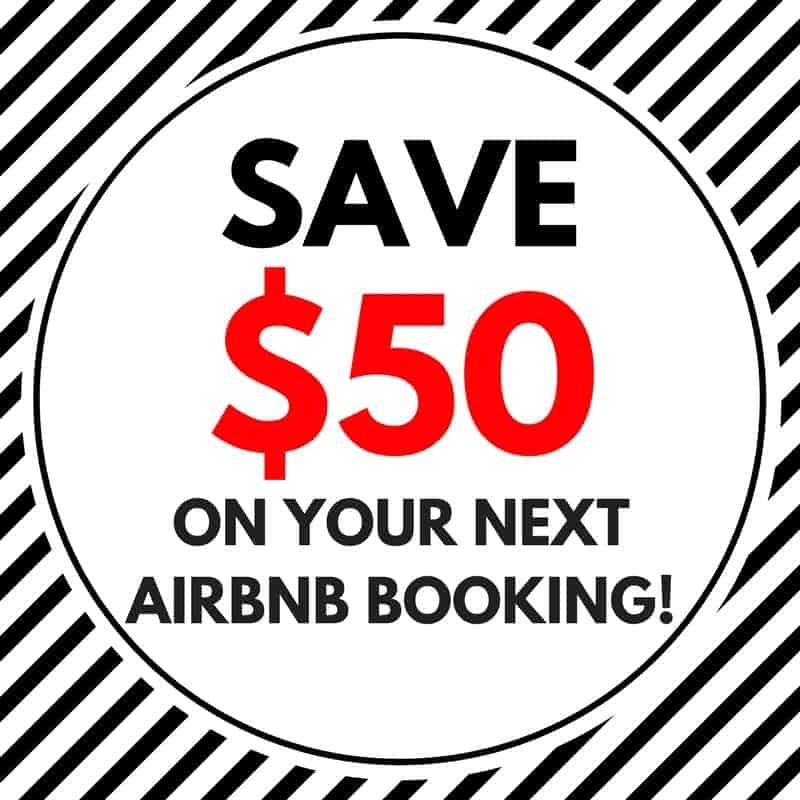 You can request a single room for one, or share a room for two. As I wasn’t travelling with Justin, I asked for a private room to myself. It costs €25 for one person and €32 for two guests. The staff member filled up the tub with the seaweed inside it. When I was ready, I was instructed to strip down and soak in the tub. From there, I could alternate between the tub and the cedar sauna box. You can stay in the room as long as you’d like, although most patrons visit for approximately an hour. Though it might not look like a fancy day spa, this was one of my favourite spa experiences of all time. There’s nothing better than what nature provides. I perched my body inside the wooden cabinet, while my head stuck out of a hole in the top. 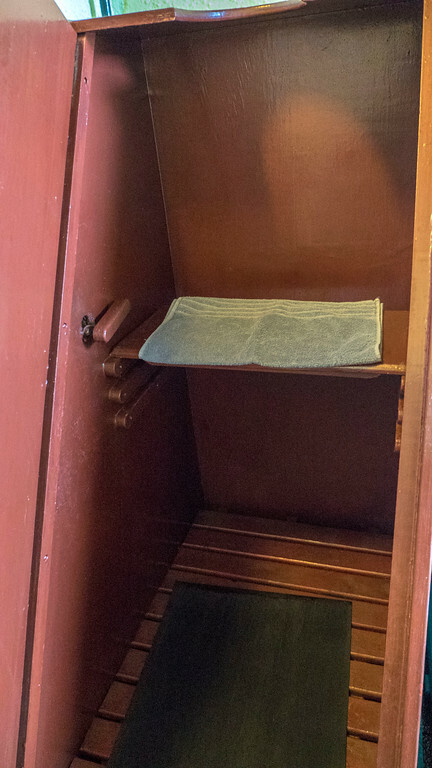 The wooden cabinet filled with fresh seawater vapour, enveloping my entire body and opening my pores. Afterwards, I climbed into the bathtub of seaweed and amber water, which was stained from the release of iodine from the plants. I relaxed my body and put my head back. Floating in the water, I pulled the seaweed through my fingers and wrapped the greenery around my body. The oils from the seaweed formed a velvety layer on the surface of my skin. It felt a little bit slimy, but very moisturizing and nourishing. You’re welcome to alternate between the tub and the sauna as many times as you’d like. Feel free to add more hot water to the tub if it gets too cold. After the entire experience is done, you can take a cold shower to rinse the oils from your skin, or simply towel your body dry. When it’s all over, scoop the seaweed from the tub into a bucket beside it, and drain the water. My skin felt so amazing after this natural therapeutic treatment. While I might have smelled a little bit like seaweed or the beach, I was willing to take the risk of smelling a little bit pungent for the overall sensation of the treatment. I’ve visited many day spas in the past, and nothing truly compared to the long lasting effects of the seaweed bath. When I was in the bathtub, my skin felt like a layer of oily ooze penetrated the surface. But, my skin felt so soft and moisturized for days following this traditional Irish seaweed soak. 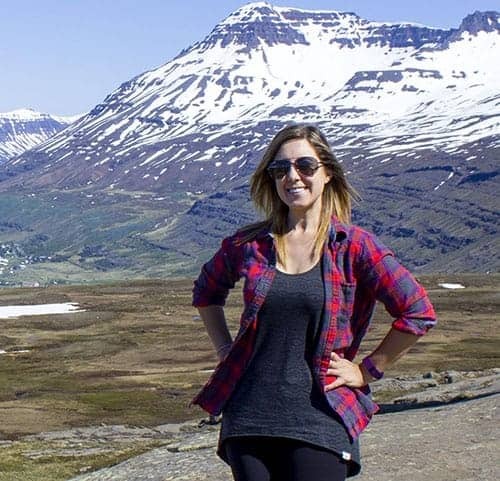 The tension left my aching muscles, and I felt energized to continue my road trip. 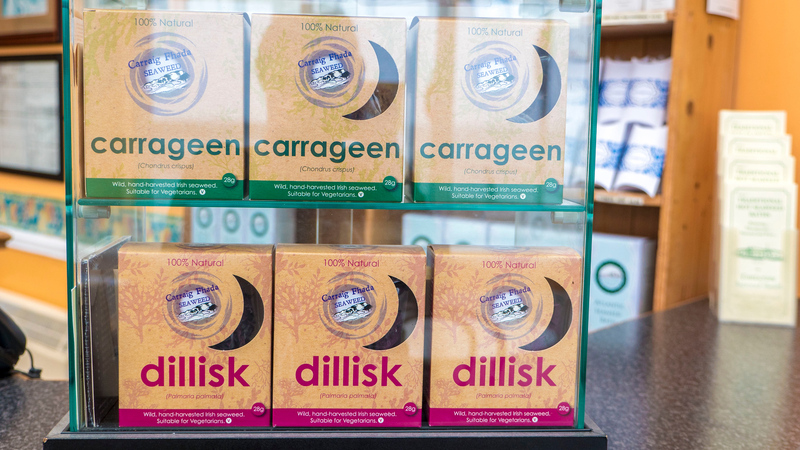 Back at the front desk, you can buy seaweed snacks, seaweed beauty products, and even seaweed to take with you for your own spa experience at home. I bought a few of these for some friends so they could try their own seaweed bath at home, too. 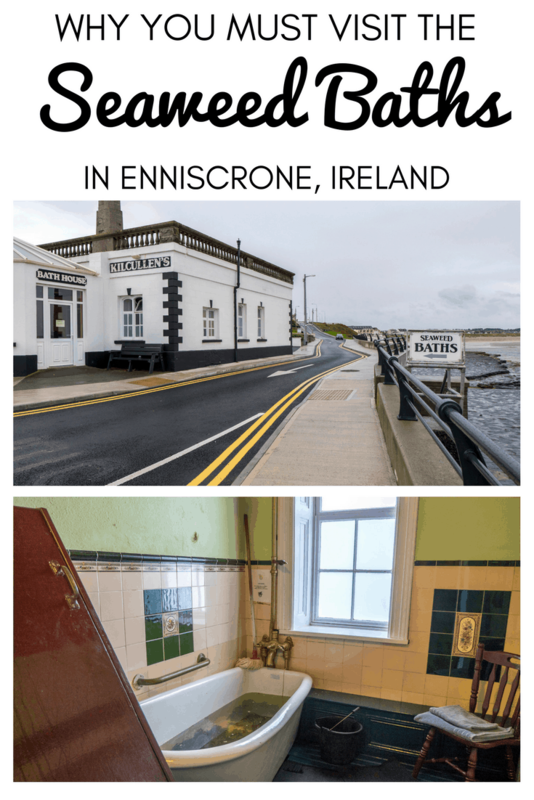 Check out more photos from Enniscrone, Ireland. You can also purchase any of our travel photos as canvas prints, housewares, and more right from our travel photography page. 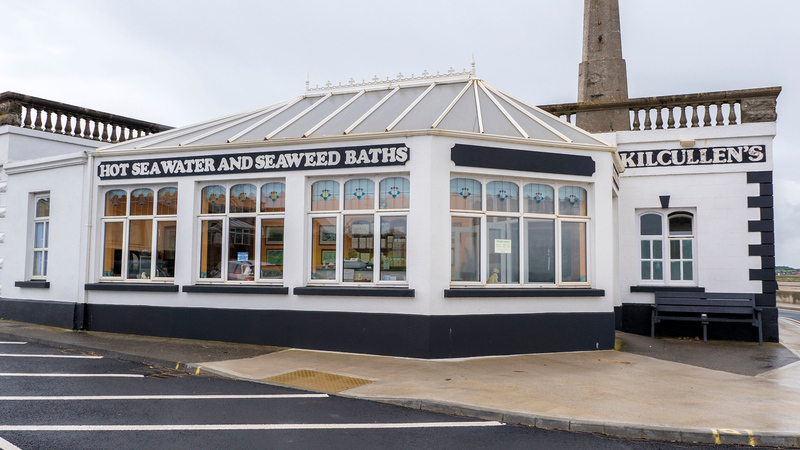 If you’re looking to participate in a traditional and unique experience in Ireland, definitely try the seaweed baths in Enniscrone. If you love spas or relaxing moments, I’d add the seaweed spa to your bucket list. I only wish there was a seaweed spa back at home in Canada so I could go more often…although I’ll just have to fly back to Ireland so I can try this again. If you’re looking for a nearby place to stay, I recommend checking out Solis Lough Eske Castle in Donegal (check out more reviews or book your stay) Or, in Galway, I stayed at a comfortable, cozy, and affordable accommodation, The Connacht Hotel (check out these reviews or book your stay).